All her life, Falon's grandpa has told her the age-old tale of 'The Gingerbread Man'. Even as a teenager, she's fallen asleep to his favorite bedtime story, a special tradition she knows she'll never outgrow. It begins coming to life, however, when he makes a dying wish, asking her to visit a secret underground world of magic to rescue the best friend he left behind fifty years ago. So she sets out with her self-obsessed cousin and a cure for the magicked man with skin like gingerbread. Unfortunately, the adventure she finds herself tangled within is almost nothing like the story Falon's grandpa always told. Once she's found the long lost man of his youth, her only hope of ever returning home, or even surviving his world, lies in the talons of a deadly hybrid she scarcely trusts. Together they must face the animals taken from the children's tale and magicked into monsters, a man who can move mountains who's bent on killing them all, and a labyrinth rumored to have never allowed a survivor. At the tip top of the tallest trees, in a city filled with a people of light, Sleigh’s sister is born different. A defect and reject, she's taken from her family and delivered to the Surface to the other lightless, fire-breathers below. But Sleigh’s loved this baby since before she was born, and nothing will stand in the way of protecting her sister. Not her people's rulers threatening her life. Not slave-seeking centaurs. Not even accidentally becoming the wearer of magical wings that force her to become the lead warrior in a massive centaur war. With the help of a powerful defect man Sleigh's falling for, and the everlasting love of a sister, baby Blush will be saved. Click HERE to learn more or to buy this book! "I would recommend this book to anyone who wants an easy read that will also keep them involved and interested. It feels like it is primarily written for the YA to young YA audience, but it would be a great book for anyone to read while sitting out enjoying the sun this summer... that is if you are lucky enough to get sun this summer. "
The kingdom of Bethany was once a beautiful place made up of five magical nations, each with their own special gifts. It all changed in a day, however, when the murderous dredgelings arrived. No one quite knows where they came from or how they keep multiplying, no matter how many are killed in the long, cruel war they’ve waged. All seems to be lost, until a human girl named Taylor is mistakenly transported to Bethany. Kane, the king over these nations, despises her whole-heartedly at first, and then she makes him laugh for the first time since the devastation began years ago. And the earthling manages to find new ways to surprise him with her valor and loyalty every single day. Unfortunately, Taylor’s only wish through their dangerous quest to reunite three magical stones and save the kingdom, aside from surviving this fearful place, is to return home. But as fate goes, she soon discovers the only way to recapture the stones and save the lives of the royals she’s come to love as her first real family is to give up any hope of ever returning to her old life. In the end it all comes down to what sort of hero she truly is, one to her own self, or one to entire nations. ﻿ Click here to learn more or buy this book! "Marcom has outstanding character development and this story is highly original. The creativity within this story is fantastic, coming up with a world outside of the one that we live, filled with magic and enchantment. 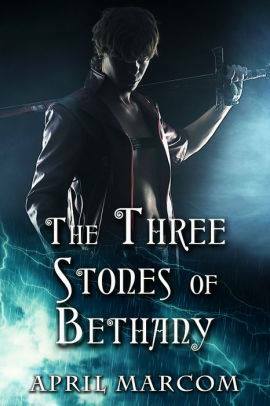 This author engages her readers with action, magic and a slight romantic endeavor that will leave you wanting more. If you are a reader of young adult fantasy, this may be perfect for you." "I was so pleased! It grabbed my attention right away and did not let it go through the entire story. The characters were engaging and had their own personalities. The writer kept the story moving without relying on any factor too much. There was just the right amount of action, dialog, emotions, etc. I was absolutely captivated and I loved the story. I felt like I was right there seeing it all, feeling, smelling, heart pumping, fearing, and celebrating as needed. I would easily read this again and any other book by this author. I was very impressed with her work and I would not mind at all if this story had continued. It was one of those stories that made me sad when it was over because the world was so well done and felt like the perfect place to be. Highly recommend this book!" While the tale of Little Red Riding Hood has been told in lands across the earth for centuries, the enchanting tale of danger, darkness, and romance between her elder sister of a sapphire cloak and a forbidden werewolf has been forgotten…until now. Wisteria couldn’t have known her simple act of kindness to a lost witch would lead to the possession of a magical blue cloak. She couldn’t have known that the greatest tragedy of her life would lead to her first kiss with a carnivorous werewolf. And there was certainly no way she could have expected chasing a man hidden by a cloak of darkness would lead her and her ‘red riding hood’ sister to join a pack of pirate werewolves on an impossible quest to find a potion that would make them human, or that it would reunite her with the were-man who took her first kiss and with it her heart over a decade before. Luckily, it’s exactly the sort of adventure Wisteria’s always dreamt of. "This was an interesting amalgam of various fairytales with the stories working very well together with some" more modern characters. Some very vivid descriptions, which I enjoyed, but not for you if you imagine fairytales as 'cute' as some people seem to." "Loved this. Full of surprises and pirate romance, treasure, and adventure!" Two schools, born of two very different and very competitive brothers, exist at the farthest reaches of the north and south. One for particularly evil teenagers left alone in the world, and one for those who are pure and good, each after the father of their own school. The rivalry the brothers share has been passed on to their students. So every winter, the schools get together for a season of competition, alternately held between the north and the south. For this one season, the schools and their founders put their differences aside to compete, and more importantly, to win. But this year, even though the two student bodies loathe each other entirely, a boy from the south and a girl from the north fall in love. This is where the trouble begins. Jane Nickerson, author of Strands of Bronze and Gold calls it, "Romantic, suspenseful, compelling..."
"This is a good book for the Twilight crowd looking for something of the same vein, but a little different." An otherworldly man, an unexpected romance, and a deadly twist of fate will change Sarafina's life forever... Fresh out of high school, Sarafina’s whole life changes during a chance meeting with a man from another world, and it’s love at first sight. For the first time, she’s taking risks to chase a fantastic adventure and incredible romance halfway around the world. In her journey to find an unimaginable love and transition from girl to woman, she discovers her own strength as she sheds the skin of youth to reveal a mighty inner beast she never even knew existed. TO LOVE A SCOTSMAN anthology. "Great read! Really takes you to Scotland in a fun, romantic way." In a world sprinkled with superheroes and villains, you never know when the person right next to you is one of these few elite. When Clarissa begins to fall for a guy who harbors a super secret, it feels like she’s not good enough for him. But he may just help her discover a super sweet secret of her own. "As an discerning romance reader, I felt this story delivered with the perfect 'recipe' of believable and likeable characters and a fresh take on 'the return of the first crush'. It left me wishing it had been a full-length novel." "Diverse short romantic stories, each with a delicious recipe get a five star review from me. Quick, fun read! Indulge yourself in food and romance." A story included in Satin Romance's FROZEN anthology. Frost, a winter spirit once known as Jack, fell in love with the mortal Lilly the day she was born. Eighteen years later, his world revolves around her. And she seems to be just as consumed by him, even though he remains unseen to her mortal eyes. Frost knows the impossibilities set between them, but he’s always held onto the hope that a winter spirit might someday step down, giving Lilly the opportunity to fill the position and become his forever. Unfortunately, when a fire spirit set on becoming a lord over the cold kidnaps her, Frost must set his hopes and dreams aside. No matter the devastation it causes, no matter what it costs, he will stop at nothing to have her back in his powerful arms. Click HERE to buy or view this book! "This anthology has something for everyone. There is sweet, sassy, paranormal... it has it all. 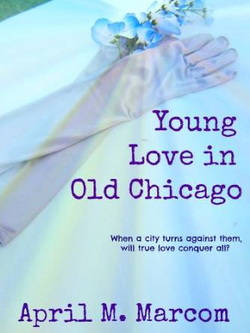 If you like short stories and happily ever afters, this book will suit you." "What a great compilation of short stories...and just in time for winter! Loved them all..."
The holidays are drawing near in 1932 Chicago, Illinois. The streets are lined with glittering lights, the sidewalks full of joyful, bustling people. And Alexandra is falling desperately in love. But the young man who’s captured her heart has a dark secret…a secret that threatens to tear them apart. However, with a little help from Alexandra’s mob-obsessed sister, lots of secret letters, and a love deeper than the bottomless oceans, they just might make it. Click ﻿HERE to buy or ﻿view this book on Amazon! the readers. Well, in this case I wish there was more of Alexandra and Mason, it was over far too soon. If the author comes out with another book, I'll buy it without hesitation." "A love story taken place when times were simpler. Loved the characters. Hope the author writes a sequel to this book." Arabella's the luckiest girl in all the land, being rescued from her poverty ridden life and taken to the castle to marry the future king. But she has a secret that could spoil everything. And the future king is unbearable. To make things even more difficult, her wondering heart has set itself on the wrong prince. Click HERE to get this book FREE! "This is an enjoyable read which should be able to be read at one sitting." After having her heart broken by the man who promised to love her forever, Erin is certain it will never heal. But a chance meeting with a man who comes into her life like a blazing light in the dark night might be able to change her mind. It fact, he knows the terrible heartache she suffers and seems to know exactly how to help her forget all the pain. Click HERE to download this book FREE! In exactly one hundred years, a very evil man will enter a top secret lab and set off an explosion that will infect all human beings and change life as we know it. Civilization will crumble. Terror and chaos will set in. Two powerful races will rise. Out of the burning ashes of this uncertain future, one young teenager will rise differently than the rest. Her name will be Alisha. Alisha All Alone is a short story full of danger, suspense, and a teenager left to face the world all alone. It's sure to keep you on the edge of your seat until the very last page. Click HERE to buy or view this book on Amazon! I love the story and its bright, memorable illustrations. The heroine experiences uncertainty, fear, courage and other emotions common to us all. It's a good story about yearning to be with family and needing other people.